Designed by the team at Greg Natale, this classic bathroom and kitchen design epitomises style and elegance. The streamline kitchen bench, custom made from Carrara Marble Slabs paired with white cabinet and painted finished creates a light airy feel. 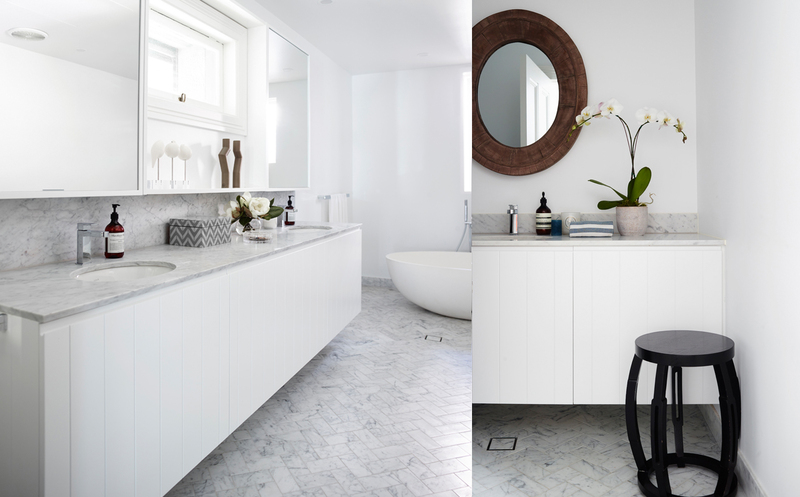 The bathroom and powder room Carrara Marble tiles in 75x150mm format, laid in a Herringbone design form the foundation for classic design with a contemporary edge.